Curl up with your favorite book while this outdoor loveseat’s awning shades you from the sun, or pull the large ottoman close to turn your seat into an outdoor bed! 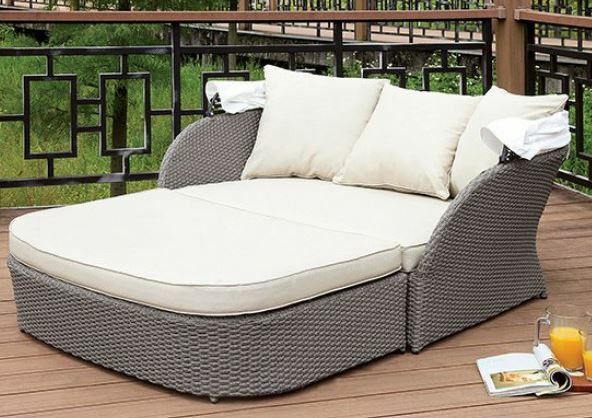 The versatile use of this outdoor seating set makes it perfect for lounging out in the sun or bringing your friends over for a fun night out. 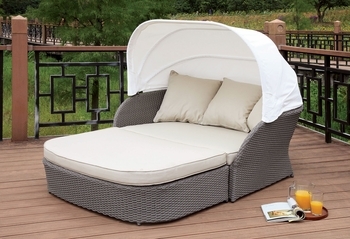 Come rain or shine, this set is a great choice for your relaxing and seating needs!